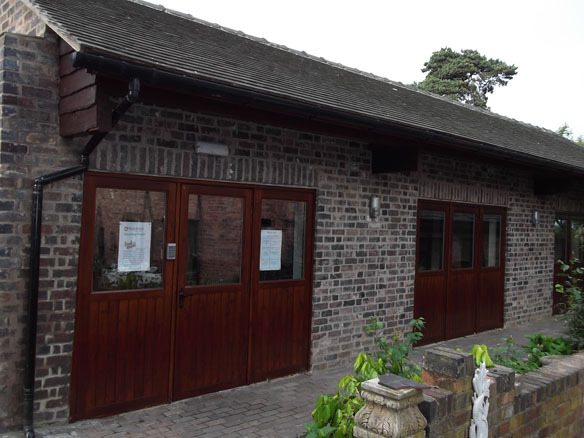 Our new activity centre is situated in a separate building next to the residents courtyard, accross from the carehome. We are now operating crafts and cooking sessions. Other activities include comunity coffee mornings, Charity fund raising, sports events, and summer fetes. Our dedicated Activity Organisers – Wyonnie and Amanda and Tamsin carry out arts and crafts with the residents as well as organising reminiscence work, role play, and involvement in community projects. Lichfield’s Museum Bus and Library Bus visit the Home throughout the year. We are delighted to have animal therapy sessions in the care home as well as a variety of entertainers weekly. Andrew continues his popular music and movement sessions once a week. Wyonnie, Amanda and Tamsin also organise shopping trips and outings to local attractions. We are encouraging families to attend our Coffee mornings with staff and residents in order to discuss residents care plans and help us make them more person centred and allow families to exchange their experiences with dementia and other assocociated illnesses. Our Activity Centre Hub will significantly improve the lives of residents and allow the home to connect more with the local community. Reverend Phillip Moon, of St Peters Church comes in when required to give holy communion to the residents. We are LINK Members of the National Trust and Use the Local Community Minibus Transport Scheme through the Residents Association. Our Activity Schedules are updated every week and posted on bulletin boards throughout the home. Outside entertainers include singing, dancing, music and movement. WATCH OUT FOR OUR TRAVELLING PANTOMIME SHOWS! © 2013 Watford House Care Home Ltd | Registered office 263 Birmingham Road, Staffordshire, WS14 0PD | Registered in England no. 05673848.